Hillandale Caravan Parks is thrilled to announce the opening of a new motorhome hardstanding development at Morfa Bychan Holiday Park. 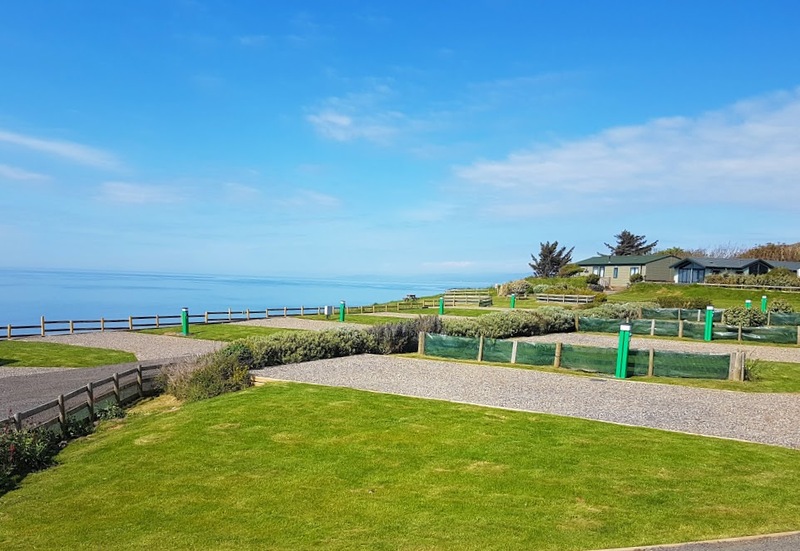 The team at Morfa Bychan, headed up by the park managers Gary and Jenny Brunt, have been hard at work over the past few months to create spacious pitches, all of which have fantastic sea views as soon as you step out of your motorhome, and they certainly have not disappointed! Gary and Jenny were delighted to welcome the Ceredigion MP, Ben Lake, as a special guest to the park to carry out the grand opening of the new development with a ceremonial ribbon cutting. On viewing the new pitches Mr Lake said, “the Morfa Bychan Holiday Park team should be very proud of what they have achieved with this new development, the finish is to an especially high standard and the sea views are breath-taking”. "The tourism and leisure industry is a vital component of the Ceredigion economy," said Mr Lake during his visit. Image 1 - New motor home hardstanding development. Image 2 - (left to right) Hillandale Caravan Parks employee Charles Lloyd Jones, Ben Lake MP and Morfa Bychan Holiday Park managers, Jenny and Gary Brunt.